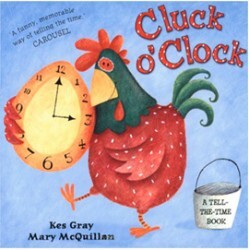 Cluck O' Clock' is a tell-the-time book with a difference. 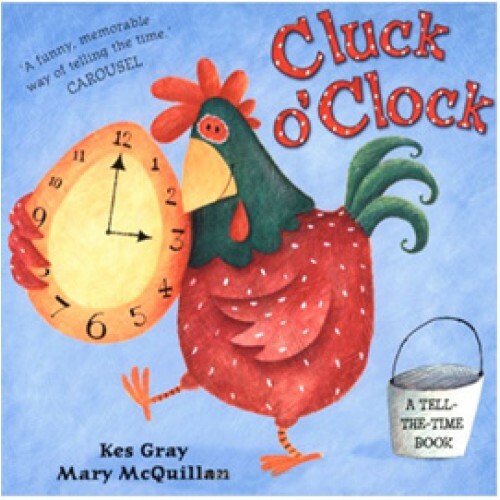 It recounts a day in the life of a group of chickens - each with individual and distinct personalities - as they full their lives with food, exercise, visiting - and waiting for the fox. Hilariously funny - these characters have instant appeal.